Why should you choose CAPPA for your certification? Click HERE for more info. 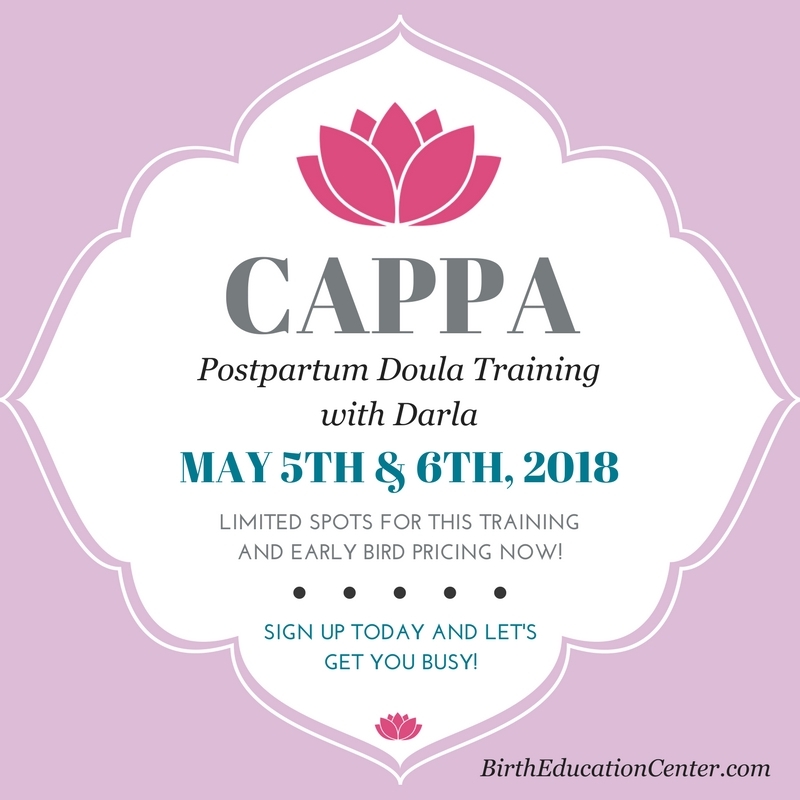 This 2-day course is the first step to becoming a CAPPA Certified Postpartum Doula. The Postpartum Doula is a trained professional that offers physical, emotional and spiritual support to a new family after the birth of their baby. Postpartum Doulas also offer breastfeeding support, household maintenance, family nurturing and instruction to mom and/or other family members in the care of a newborn. The Postpartum Doula’s job is to make the transition to parenthood easier for new parents, to help mom during her recovery period, and to ascertain what the family needs help with and provide the instruction. The main objective of the Postpartum Doula’s role is not to take over complete care of the newborn, but to educate and support the family so that they will feel empowered to care for their newborn themselves. Training fees include the 2-day workshop, training manual, binder of materials, daily snacks/drinks, mentorship through certfication. NOTE: CAPPA Membership Fees, Certification Enrollment in CAPPA Academy, HUG Your Baby Program ($35) and Books are NOT included. Pregnancy and Belly Dancing from Sohaila Zyba on Vimeo.